This entry was posted on February 20, 2010 at 9:53 am and is filed under Harappan script, Indus civilization, IVC script decipherment, Richard Meadow. You can follow any responses to this entry through the RSS 2.0 feed. You can leave a response, or trackback from your own site. The script is not an isolated script nor it is just religious symbols as saild by many. Thousand of inscription written in this very script area lying scattared in Mesopotamia and what is interesting is that they are all published. The script actually contains just 80 to 90 signs and the rest are combined signs. The list of signs given in ZATU is about 800 signs. One can see the full script in the Sumerian Proto-Cuneiform script published even on the web. The fact that there are so few signs on the seals shows that either there is the name or a very short message. As far as language is concerned if we look at the contemporary language, Sumerian and Accadian we will find thousand of words still spoken in India. Collection of those words will tell us the language spoken in those times for if the words spoken then were absorbed in Sumerian and are spoken in modern times then that may be the language of Indus Civilisation. 1. As far as language is concerned if we look at the contemporary language, Sumerian and Accadian we will find thousand of words still spoken in India. – How the contemporary language, Sumerian and Accadian i.e, thousand of words from it are still spoken in India? 2. Collection of those words will tell us the language spoken in those times for Collection of those words will tell us the language spoken in those times for if the words spoken then were absorbed in Sumerian and are spoken in modern times then that may be the language of Indus Civilisation.and are spoken in modern times then that may be the language of Indus Civilisation. – When you say ” if the words spoken then were absorbed in Sumerian” – how? It is a stable script. People like Richard Meadow must be encouraged. The people of Indus Valley and the Sumerians, Accadians were in close contact with each other as is found in a number of seals found in Sumer and also some inscriptions mention the visit of Indian saillors to Sumer. Essentially the two people talk and the words of one language were borrowed and absorbed in that language just as you may find a number of English, Persian and of other languages in Hindi and in other languages of India. I have looked into the Sumerian dictionary and found a number of words still spoken in India. Naturally the words spoken then in Indus Valley were absorbed by the Sumerians but were continuously spoken here in India. Those words must constitute the language. Very interesting. The script seems to have visual similiarities with ancient Greek, Proto-Sinaitic, and Early Phoenician. The right-most letter letter on the upper script and the left-most letter on the lower line compares to the letter dalet in the aforementioned languages. Particularily of note is the dot in the center of the right most letter on the upper script and the absence of the dot on the same symbol on the lower line. In the aforementioned languages the dot (dagesh) is used to give the dalet a hardened consonant sound — dalet verses daleth (without the “dot” or dagesh). The left-most letter on the upper script looks very much like a mem or mu in ancient Phoenician/Sinaitic and Greek, respectively. It is a wonder as to why and how he has been ignored by Karunanidhi! I may mention that the Indus Script and the Proto-Cuneiform script of Sumer of the period 3000-2500 BCE are exactly the same. The books the Proto-Cuneiform Texts of Jemdetnasr and ZATU can baea seen specially the sign lists. This script was already desiphered from the Behistun Inscription. There is a possibility that as Indus Civilisataion was much more advanced it loaned the script to Sumerians as well as a number of words spoken in Indus area. If we look at the script we find that a number of signs are having Indian names. We can look at the sign containing three standing lines is named ‘eesh’, or the sign having two horns meaning bull as ‘go’. We can also look at the ancient books, Nlrukta- Yaska which is erronously called a book of etymology but actually mention Indus Script symbols, how they are written which combination of signs is required for a name and how many combinations can made to write a single name. For example many Rishis might have written the word Indra in many ways, Nirukta points out many combinations in which the name was written. Obviously the Vedas were written in Indus Script. I may also mention that considering many references to historical situations points out that Yaska must written it earlier than 14th century BCE and probably after 23rd century BCE. Vedas people say were written after their arrival in India after 15th century BCE but there is no archeological evidence of the arrival of Aryans at all in India. On the other hand people migrated from India to other countries. The geographical map of Indus Valley is correctly reflected in the Vedas. I may also mention that the name given to Harappa as Meluha by some is wrong for the name of Harappa was ‘Aaratta’ as mentioned in Mahabharat. You are absolutely right. It is how the script was used (what it was used for) that matters. Please find the response by Steve farmer . He is happy that India is no longer represented in a new book. Then why does he have to be an indologist? Let him resign. The Indus script a Positional Statistic approach by Michael Korvink. In order to understand the Indus Valley Civilization and the Indus script it is necessary to look at the seals closely. There are some signs perceived in them which are not found in the sign list given by Prof. Parpola and Mr. Mahadevan. We may look at seal no 430 (FEM). In it a deity is standing between two branches of a tree and before him is standing a person who may be his disciple, a worshipper or may be a son. Behind him are shown seven birds. We may notice the disciple is standing in a peculiar way. Actually he is not kneeling and that his lower portion is a sign which in Proto-cuneiform script is shown as having the value ‘el,il’ meaning either a messenger or to raise. He is having in his hands something which resembles a sign. We may notice that deity is shown standing between two branches of a tree. We may notice that the two branches of the tree and the deity in the middle of the two branches make a perfect sign. The branches are joined at the bottom and taking a curve go upward and make the outer form of the sign and the deity in the middle make it a sign just similar to the sign in the hand of the disciple. Actually these signs may give us the names. Similarly in seal no 420 from Mohenjodaro(FEM) known as Pashupatinath seal we find a bull-faced deity is sitting and four animals are moving around him. Both the deities may be actually one a host of mythology is built around him. Jain mythology named him Rishabh and mentions sixteen dreams seen by his mother before his birth. Actually these dreams are a riddle. Jains believe that these dreams were seen by her seen one by one. However if we look at them then it is clear that they describe Pashupatinath seal. The earlier ones mention bull and four animals which is this seal and the later ones his genealogy, i.e. mother father, grandfather etc. Jain mythology also mentions that Rishabh once visited his son Bharat who received him in a garden which is shown in the seal no 430. The Hindu mythology also mentions both Rishabh and Bharat but Rishabh is mentioned as the incarnation of Vishnu and Bharat as his son. There is another seal which shows a creature half-man, half- lion land a child with armed men with him. He is also shown as an incarnation of Vishnu. Bharat is mentioned in the Hindu mythology as having a lion as his companion. In some seals a child is shown having two lions on either side of him. Nirukt points out that Vishnu is Sun, Rishabh or ‘go’ is Sun and the number seven means Sun, seen in the seal no 430 as seven birds. If we can get the name, then it may be found on some seals also which are just amulets. In the seals carrying the picture of Unicorn we find just below his mouth something strange which people describe as incense burner. I think they may be some signs. The lower one has the appearance of proto-cuneiform sign ‘du’ while the upper one is I think is mentioned as ‘in’ in Proto-Cuneiform script. In Proto-Cuneiform script the sign has a plant growainga from it. KedaraNath Shastri, one of the excavators mentions in his book ‘Harappa (in Hindi) that in some seals the plant appears to be coming out of the sign. If it is so then the combination of the two signs will make it Indra or Indu which recurs in Sumerian language as the name of some place. In the script we find a tree being worshipped by a man whose lower portion is sign ‘el, il’ as seen above. What do we understand by tree? In some seals we find the tree. In Sumerian language the word ‘eesh’ also means tree. Does tree means the same deity as on Pasupatinath seal? We do not find tree or the man worshipping it in the sign lists. These are some of the signs I could not in the lists of signs of Indus script. I hope scholars will find them helpful. The signs of the Indus Script are found in ancient literature scattered. On seal no. M-420 from Mohenjodaro we find a bull –faced deity sitting surrounded by four animals. In the inscription, the first sign from the right is also found in Zodiac under the head Bull, in Hindu calendars the ‘ Rashi’ Vrishabh we find the same sign and also in Sumerian Proto=Cuneiform script we again find the same sign with the namea ‘go’ but in Sumerian language ‘go’ means Bull. ‘Go’ is also found in Nirukta by Yaska where it is meant for Sun. It appears that as the deity is bull-faced, Yaska makes it that the deity is Sun itself. Similarly the Hindu Panchang under the Rashi Kumbh is given a sign which is also found in Zodiac against the name Aquarious meaning water-carrier. It also found on only one seal M-102. The other signs are all in the Indo-Sumerian script. 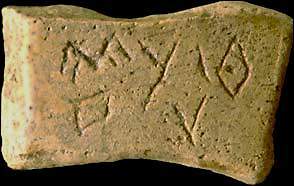 Unfortunately the only writing available from Indus is on seals whilclh may be names of deities, of persons and short messages. Thus the Indus script is incomplete. However the Proto-Cuneiform Script is a complete one and we find that they are the same. Actually lit may be only one script used by both Indus and Sumer. If we look into ancient Indian literature specially the Tantric literature may be that we may found these signs treated as mysterious signs. If we look at the headdress of the deity alone and turn it 90 degrees to the left we will find that it is most sacred sign of the Hindus, ‘OM’. May be because it represent the deity. We thus find that these signs are scattered all over the ancient literature. We have to search them. We need not looking for a Rosetta stone for understanding the Indus script. Vedic people never believed in writing.To read vedic names sound absurd.Can anyone explain this paradox? I think that whole of Vedic literature was wriltten on documents. as a proof we have a book ‘Nilrukta’ by Yaska. It is book which is said to be a book of etymology but a study of it will tell us that there is not a single word of etymology. Whole of it consists of study of words of Vedas as written in Indus script as found in Vedas and in some Brahmans sp. Shathpath Brahman. In the belief that there was no writing in Vedic literature and nothing was known about the Indus script or Indus civilisation, it was assumed that that the book is a book of etymologoy. If we look at it we find that it is explaining the list of words of Nighantu. In the first three parts of Nighantu the script gives the sign of the words as it is. However in the later three parts of Nighantu every word is given which is written differently and is read differently. We may look at the word ‘Go’ which means cow. However Nirukta explains that it means ‘Aditya’ in Vedas. Similarly ‘dwar’ meaning door is to be read as ‘Agni’. So on for every word in the fourth and fifth part of Nighantu whilch written differently and meaning differently. All this means that the writing in Indus times was in the Indus script. If we can get a long text we can read it with the help of Nirukta. 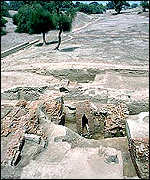 People regard Nirukta as written in 7th century B.C.E. in the belief that it was written after Aryans invaded. However the historical references in it poins out that it must be written not later that 18th century BCE. Asur or Assyrians were a dominant race in 16th century BCE who defeated the powerful Mittanians and concluded a treaty with them in 1353. However Nirukta mentions them as innocent and always on the move, i.e. nomads. This could happen only earlier than 18th century BCE. We may take it that there was writing in the Indus script only we have to search it. INDUS SCRIPT WAS TRUE WRITING. Published in the ICFAI journal of history and culture, January 2011. Published in International journal of philosophy and journal sciences , November 2012. I am also introducing logo-syllabic thesis B in this paper. The paper is very self-explanatory! does anybody still beg to differ? I think the idea that the Indus script was only used on the Indus Seals is not correct. If we look at Nirukta by Yaska we will find that it mentions a large number of signs of the script whose meaning is different than it appear. we may look at the sign ‘dwar’ or gate which according to Nirukta mean Agni or Fire, figure seven means Sun, two tens becomes ‘Vinsh’ etc. All the examples are given from the Vedas. It appears that Nirukta is not a book of etymology of Sanskrit words but a book which actually discusses the signs of the Indus Script and the meaning they denote.The examples of the use of these signs is from Vedas. Brahmans etc. It may be that other books attributed to the era i.e. Mahabharat may also be written in this script. Mr. Mandavilli may consider it. The above are the Indus Seals found in Middle-East. 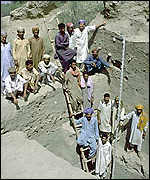 People are disputing the language of the Indus Valley and feel that it cannot be deciphered unless some sort of Rossetta stone is found having the Indus language and some other language. However it is not possible nor desirable to wait indefinitely for such Rossetta to be found. The list is from Shree Mahadevan’s book Indus Script. We will try to read the seals from the middle-east simply because it can be written in either Sumerian language or the Indus language. Fortunately for us the script of both Sumer and Indus valley are the same and as such we can find the value of various signs used in the script on the seals. There is another advantage for us in that we have a book ‘Nirukta’ written by Yaska, which various signs of the Indus Script and their pronunciation and the meaning for which it is used in the Vedas. Some scholars say that the Nirukta gives the etymology of Sanskrit words, when actually there is no etymology of any word instead it gives the word represented by the various signs. Scholars have again estimated the date of the book to be written in 7th century CE. However if we look at the contents we find many references to events in history, which only points out that the period when it was written could not be later than 18th century BCE. We may also keep in mind that both books which give us the Sumerian signs i.e. ‘ZATU’ and ‘Proto-Cuneiform Texts from Jemset Nasr’ mention that the pronunciation of Sumerian words is not known and it may actually differ from that given in the books. We may try to read the writings on some of the seals given above from the Middle-East. 1. We will look at the seal no. 9853 which contains only two signs. The signs are a bird within a bracket and a man from whose shoulders two lines on either side from neck to thighs. The picture on the seal is that of a humped bull eating from a trough. The secret lies with this sign. In the sign list given in Zeichenliste Der Archaschen Tdexts Aus Uruk or in short Zatu, no 447 we find a sign i.e. a line obviously from shoulder to thing which is a part of the sign which had it on both sides of a man. Obviously the man denotes that the sign shows a person not some other thing. The name of the sign is given as ‘si’. We have noted above that the scholars have given it that the pronunciation of Sumerian words is not known and it may be different than given. We have seen that Nirukta is not a book of etymology of Sanskrit words but gives the name of signs of the Indus Script and their meaning. As both the scripts Indus and Sumerian are the same and the name of the signs must be same, hence we look at Nirukta if we find either ‘si’ or a similar word. There is no ‘si’ but a word ‘sir’ सीर . ‘Sir’ means according to Nirukta Sun and is found in Rigveda( 4.57.5) as well. It is found in Nirukta 9.34. We may see that the word ‘sir’ is also accompanied by the picture of a bird which implies that it is related to something in the sky i.e. Sun. We may also note that picture on the seal is that of a humped bull. Bull is somehow connected with the Sun and whenever it is shown it means Sun as also the he-goat which is said to draw the chariot of the Sun. Hence the seal depicts Sun and as it is too small to be a message it must be an amulet. 2. We may look at the seal no. 9901. It consists of four signs and the picture of a short-horned bull on the seal. We may look at the seal from the right. The first sign is read as ‘sir’ ‘सीर’ which as we have seen above means Sun. The nest letter is a Sumerian sign ‘gu4. We have noted that he pronunciation of Sumerian words is not known and may vary. It appears that the word may be ‘go’ in Indus script. ‘Go’ is defined as meaning bull but as per Nirukta wherever ‘go’ meaning bull occurs it is to be read as ‘Aditya’ i.e. Sun. So here it is Sun. Both words mean ‘Sun’. Two words meaning the same is to assure the readers that means Sun. The other two signs are identical. They are not found in the Sumerian sign-list. However we may note that they are a replica of the tree with two branches between which the deity is standing in seal no. FEM 430. So the signs are meant to indicate that it represents the deity i.e. Sun. The whole seal thus means that it shows the Sun. It must be an amulet to be kept safely. We can thus read the Indus script with the help of Sumerian script both being identical. We may also note that the indus sign list as found from the Seals is not complete and hence to base our thesis on them is not easy. Can somebody tell us if ‘सीर’ belongs to some other language than Vedic Sanskrit.